We keep looking for the best budget headphones without burning a hole in our pockets. 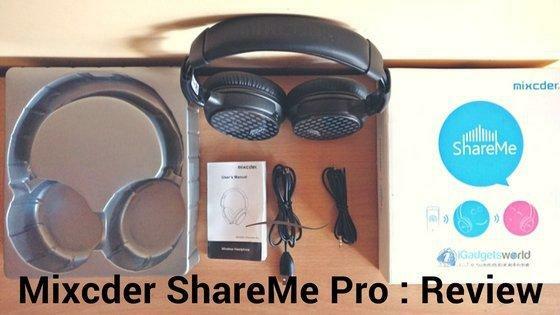 Looking out for headphones got us Mixcder ShareMe Pro Bluetooth Headphone. Mixcder ShareMe Pro is the advanced version of Mixcder ShareMe 7. 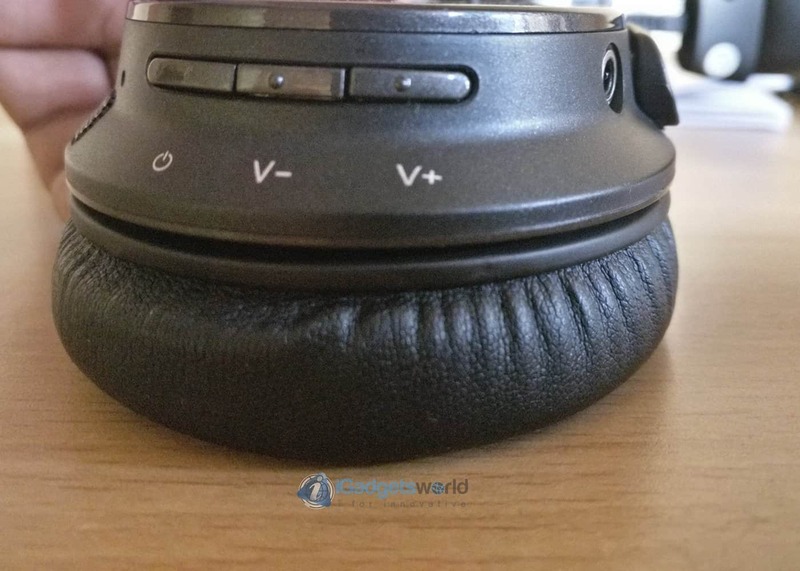 There are a lot of Bluetooth headphones available in the market in the same price bracket, choosing the best out of the lot is quite a task. 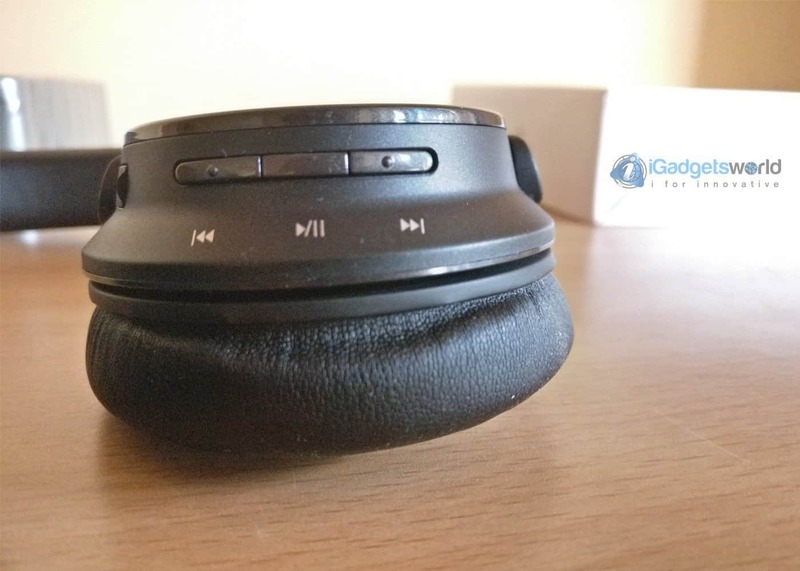 We did test the Bluetooth headphone for about 15 days paired with Television, Laptop, Smartphone, and tablet. Our main parameters were the comfort, build quality and coverage. I have used Mixcder ShareMe Pro while working out, going on a walk and while relaxing at home. Different moods need different music, thus this headphone has been put to test with a lot of different genres of music. 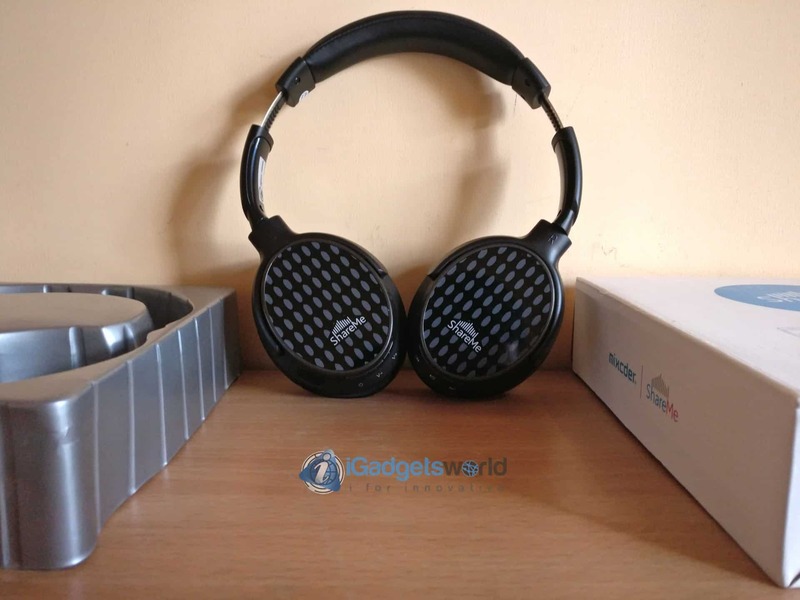 Let’s see if Mixcder ShareMe Pro Bluetooth headphone is bang for the buck or just another cheap under-performing product. 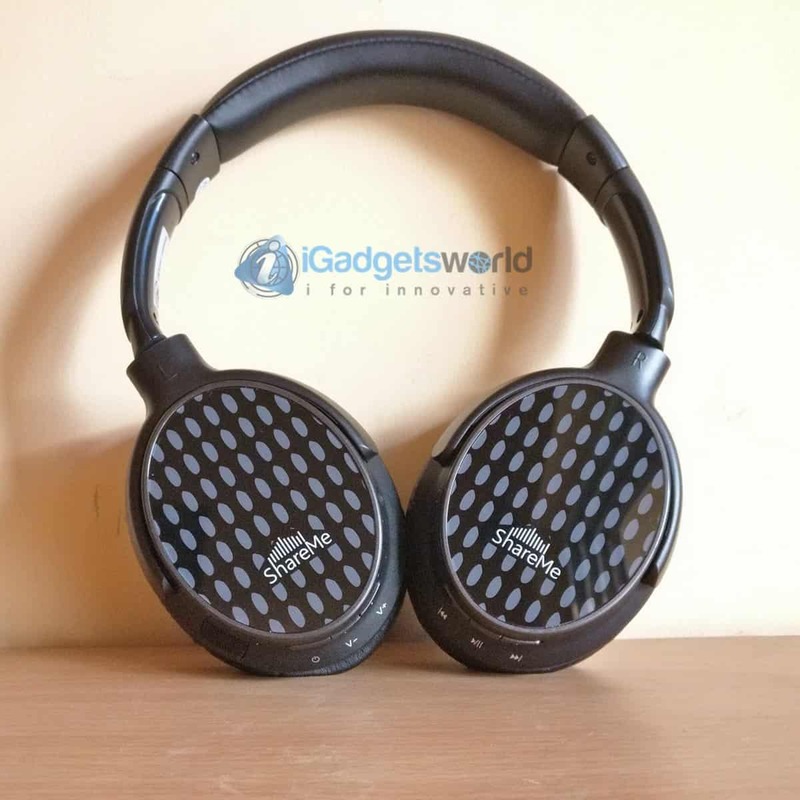 Mixcder ShareMe Pro boasts a brilliant design with faux leather ear cushions which covers the entire ear and makes it super comfortable to hold on to the headphone for longer hours. The stainless steel headband gives additional strength to the ear cups and enables the ShareMe Pro to rotate the ear cups up to 180 degrees. The nylon body gives a premium finish to the headphone. The left side of the headphone hosts a 3.5mm Aux port, volume rockers, power button, and microphone (for calls). One the right side it has a micro USB port for charging, Media controller– play, pause, and next/previous track buttons. To turn on you need to hold on to the power button on the bottom of the left earcup and it should flash red and blue LED like other Bluetooth headphones, in the pairing mode. 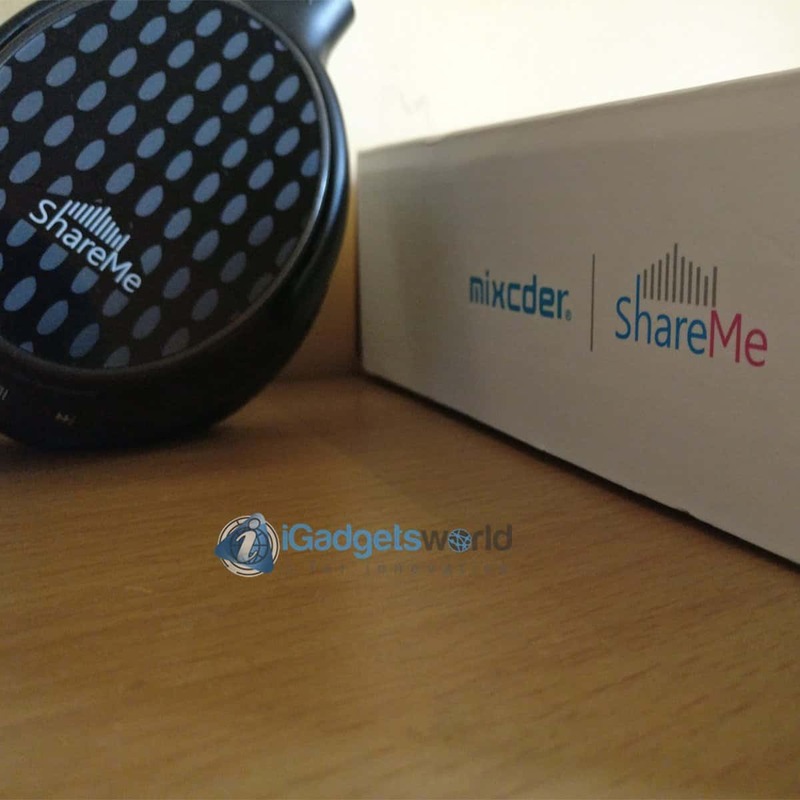 Go to your device’s Bluetooth section and look out for Mixcder ShareMe Pro and pair the device with the headphone. Once you hear it saying “Connected” you are good to go. Running on Bluetooth 4.1 makes it compatible with most of the devices. The sound quality of Mixcder ShareMe Pro is very good at the price offered. With heavy rich bass, it gives immense pleasure in listing to songs rich in bass. The headphone is perfectly tuned and covering 100-10kHz range to give you the best performance. Even though the bass and volume output is very good, still the sound output feels muffled, sometimes, with some Highs and Mids. This can be due to the extra padding between the 40 mm sound drivers inside the ear cups and our ears. The padding is to make the earphone more comfortable for long hours but does compromise on the sound quality a bit. While playing Mixcder ShareMe Pro with my Samsung Smart 3D TV I found some delay of the sound output while watching a movie or a video. I didn’t see any delay while playing videos on smartphone and tablet but playing on TV did disappoint me a bit. Even though the lag in audio is about 1-2 sec at the max, tuning TV’s settings to adjust the delay didn’t help. ShareMe Pro has some minor issues with Sound leak. Even on mid volume, the sound leaks and others are able to hear what I am listening too. The sound quality with aux cable is also amazing, without any drop in audio quality or delay of the track. Even after the initial use of 4-5 hours, I didn’t feel the need of charging yet, looks the like claim of 20 hours backup by Mixcder will be close to true. 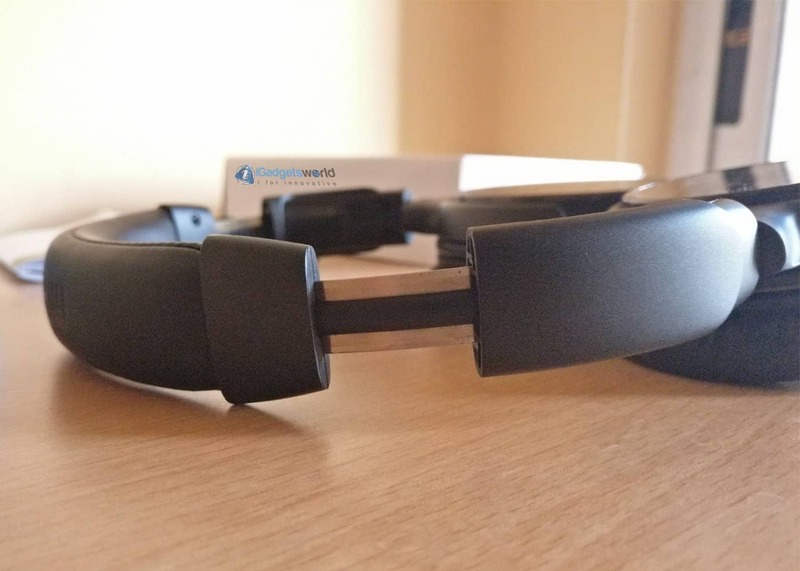 The power to switch between wired and wireless can be a decision-making factor while buying a budget Bluetooth headphone. The best feature of Mixcder ShareMe Pro is the capability to share the music among two headphones at once. We are yet to test this feature as we have on ShareMe Pro right now. Soon we will do the video and review of the hyped ShareMe feature. We have already ordered ShareMe 5 and it should be arriving soon. Mixcder ShareMe Pro is a superb Bluetooth headphone under $60. Brilliant sound, premium design, long lasting battery and the sharing function makes this headphone a must buy.